Cash-Strapped Cities Struggle To Bury Their Unclaimed Dead Detroit, like many other American cities, is so broke it cannot handle the costs of a timely burial for people who die but are not claimed by family members. Some local advocates are using their own resources to help lay the city's poorest to rest. Detroit's finances are so tight that unclaimed bodies can wait months or years for a pauper's burial. 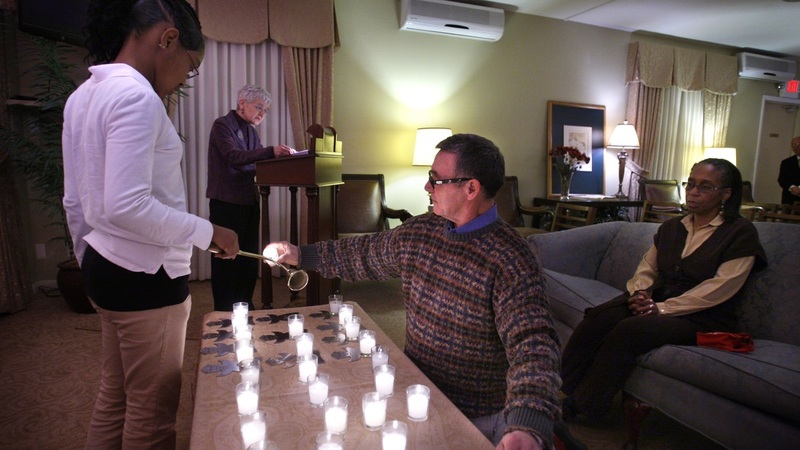 To help, Perry Funeral Home in Detroit has been holding free memorial services and cut-rate burials for unclaimed remains for years, like this service in 2009. Shrinking government budgets are changing not only how people live, but also how some municipalities deal with death. In Detroit, funding is so tight that when a homeless person dies, it can take a year or more to receive even a simple pauper's burial. I met T.C. 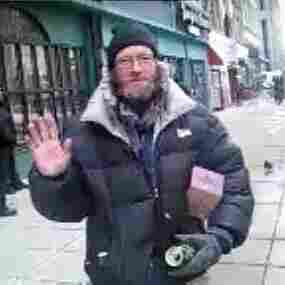 Latham several years ago, panhandling in downtown Detroit. He was short with a scraggly beard, bent glasses missing one lens and, for the most part, on the good side of the police. "I'm a familiar face down here, so they know I'm not gonna raise any hell or go crazy or rob anybody or anything," he told me. We became friendly — tentatively at first. Latham had an all-too-familiar story. "I got laid off and lost everything, to make a long story short," he recounted. "My unemployment ran out, I burned through my little savings I had — 401(k). And there goes I." On a good week, Latham would scrounge enough change to rent a cheap hotel room. At one such cheap hotel last September, he was found sitting in a straight-backed chair — dead. And more than seven months later, like many other homeless people here, Latham still has not been laid to rest. His body waits in a freezer at the Wayne County morgue. Albert Samuels, chief investigator for the Wayne County Medical Examiner, is in charge of burying the bodies no one else wants in Detroit. At any given time, he says, there are usually about 100 unclaimed bodies, like Latham's, here. But there is only enough state and county funding to bury a dozen of them at a time a few times a year. The rest wait. "We've had people here for a year and a half, two years," he explains. "So ... right now it's basically an economics thing. There's only so much in the budget — in the state budget, in the county budget — to handle these matters. "Just like we have to take care of the dead, we also have to take care of the living," he adds. Samuels says he hears similar stories from medical examiners across the United States. "It's not just Detroit. This is happening all over the country. It's happening in North America. ... You go out to Las Vegas, they got the same problem; Milwaukee's got the same problem," he says. Yet even in tough economic times, some groups find a way to say a final goodbye. "In some places in the world, these bodies would be tossed in ditches with lime," says Betsy Deak. She has organized memorial services at Perry Funeral Home for unclaimed remains in the morgue in conjunction with a Detroit church. The funeral home covers the cost of the service and offers burial to the county at the cut-rate price of $325 a body. "These are called 'quad burials.' It's the least expensive way to bury," Deak explains. "They're buried individually in a wooden box and stacked four inside a grave." Some aspects of human dignity transcend business concerns, she says. "The first time I held a file in my hand, [an] unknown female ... I cried. It isn't just about how beautiful and alive and wealthy someone is. It's the fact that they existed in the first place. They were someone's dream." T.C. Latham had few dreams left when I knew him. He said he had no family members he was close to, and I'm not sure if he would have cared that his body would be literally kept on ice for years after his death. His dream was just to survive each day. "I might go one day and hardly get anything. I might just get a few bucks — five, 10 bucks," he once told me. "I had a guy out here about a year ago hand me a $100 bill. So the definition of a good day is pretty wide open." T.C. Latham — a voice from the beyond now, if not yet a voice from the grave.